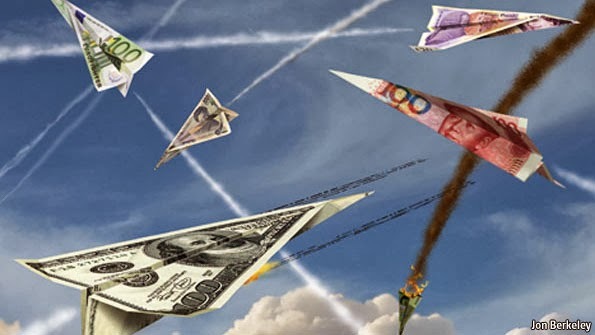 A war just as devastating as a military war without destroyed cities and states from bombs dropping as a result, but instead a currency war destroys from within, which will result in chaos on the street, martial law, food riots…etc.. The Money GPS – Author Exposing the Truth gives a great break down of what a currency war is, how it is fought and shows clearly how it works, all in a clear concise manner that is easily understandable to those of us who are not financial wizards, accountants or gurus. One of the examples used is how China wants oil from Russia, so they exchange their currency, the Yuan, for US Dollars (USD) , then pay those USD to Russia and Russia delivers their oil. As is explained, other countries have already started doing this and in the end, this war, without a shot fired, could be the catalyst that completely collapses the US economy.